Styled with everly camisole . 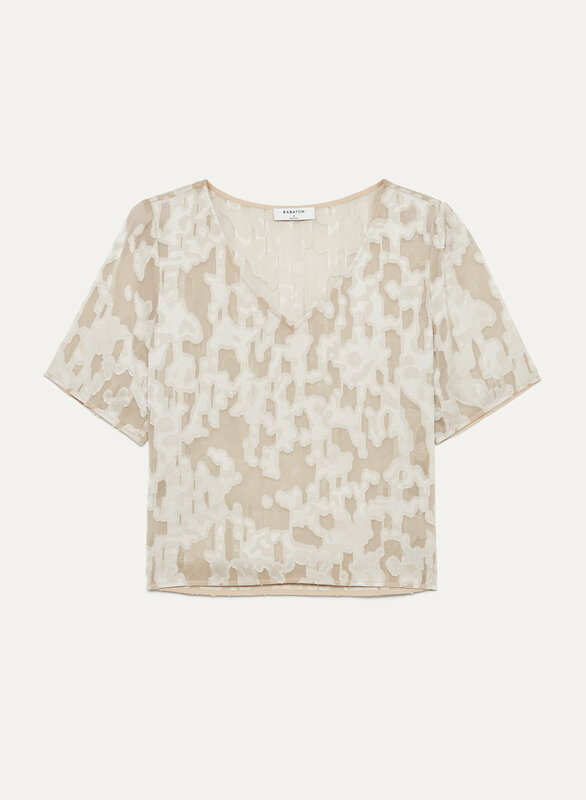 This is Babaton's version of the T-shirt blouse, updated in jacquard with a beautiful drape. 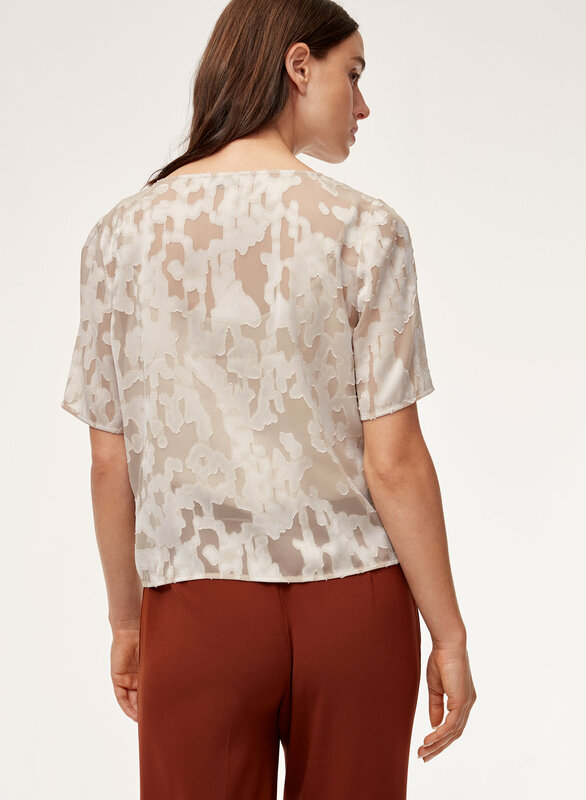 The streamlined silhouette is cut to hang off the body in the most flattering way.